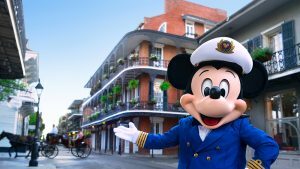 Disney Cruise Line just announced a new offer that can save you a significant amount of money. Learn more about this discount here. 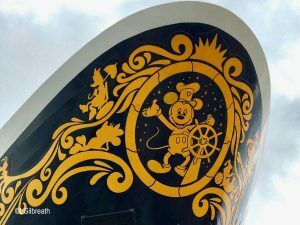 If you're setting sail on a Disney Cruise soon, you'll need to be aware of some recent price updates at dining locations, as well as for Castaway Cay massages and ground transfers. See all the changes here. 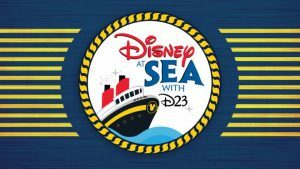 Last week, guests aboard the Disney Wonder were lucky enough to be to treated to a brand-new live event, Disney at Sea with D23! Learn about this info-packed event here! 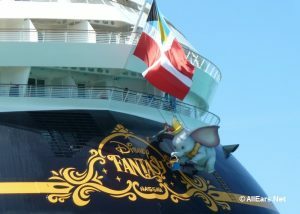 Through the month of October, you can get an extra $100 on-board credit if you book a 7-night Caribbean cruise departing from Port Canaveral in April or May 2019 aboard the Disney Fantasy through a CLIA member travel agent. 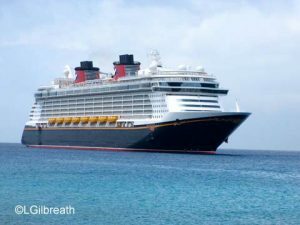 Select Staterooms included. No suites or concierge. I was too excited to sleep this morning. I tossed and turned for a while, trying to fall back asleep, but finally surrendered at 6:15. I tried to be quiet so Carol could sleep – that meant that the banging and clattering was subdued, but of course there was still too much banging and clattering. … Continue reading "2014 AllEars Group Cruise – Day 1"